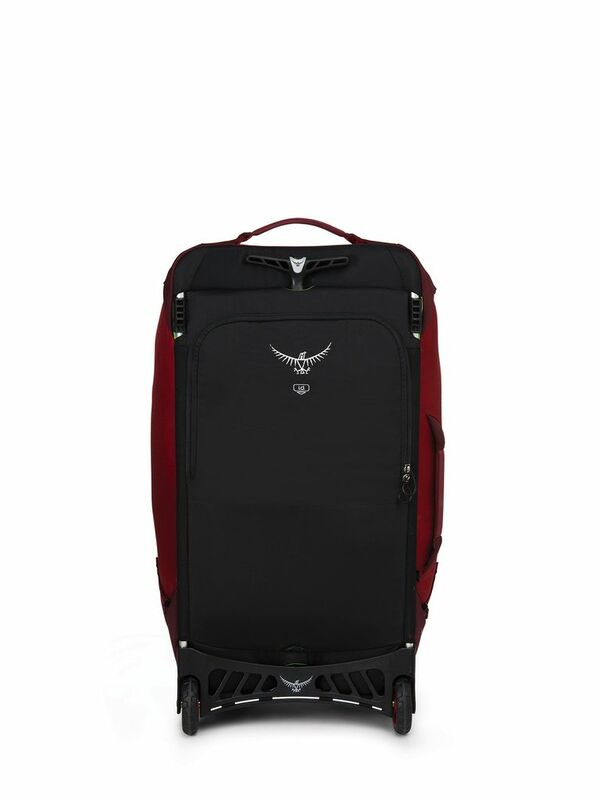 If you’re going on a long journey, you’ll appreciate the large carrying capacity and light weight of Osprey’s Ozone 80L/28". Osprey’s HighRoad LT™ Chassis combines a durable ABS plastic back plate with a lightweight aluminum frame to ride on large, sealed bearing wheels for easy rolling even on rough cobblestones. Internal and external compression straps add extra stability when ferrying heavy loads. Open the panel zipper to access the spacious main compartment where a series of carefully designed inner storage pockets line the periphery. 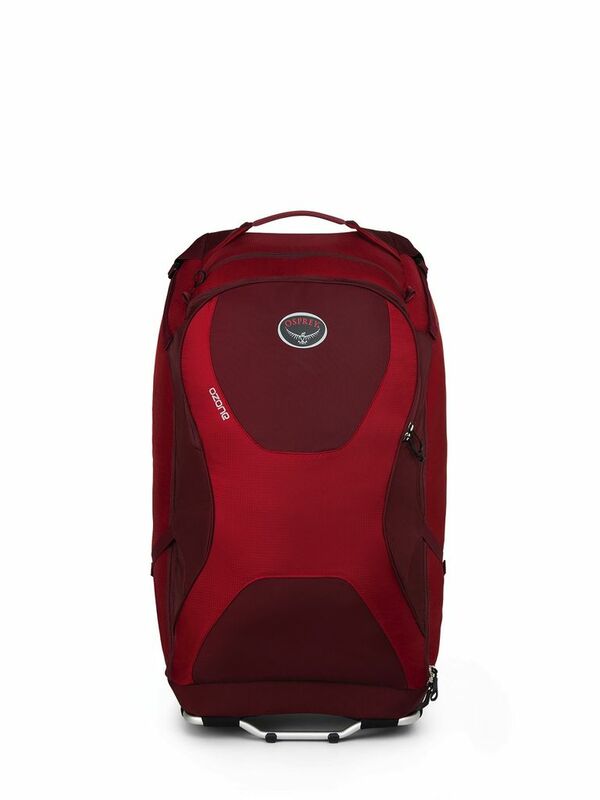 Exterior features include a top zippered pocket for quick access to your water bottle and other small items. There’s a large front zippered panel pocket and a back pocket with a drain port for damp storage. 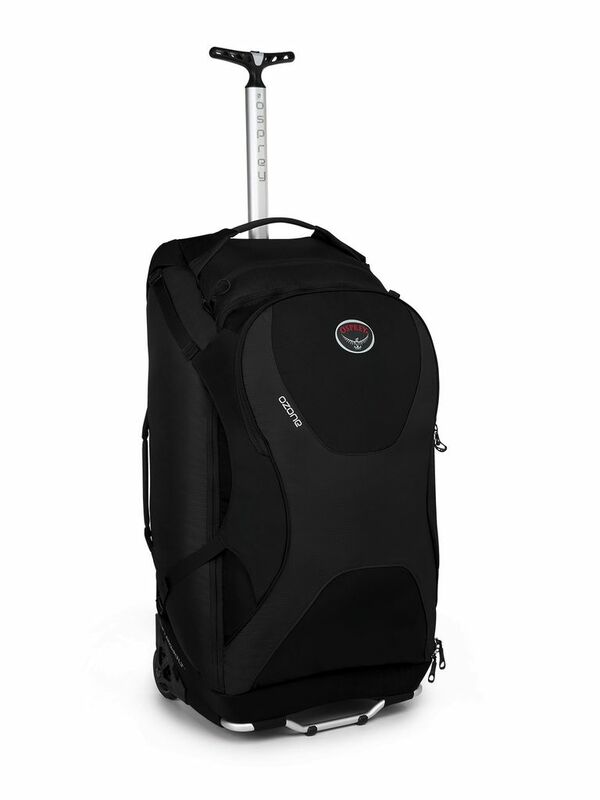 Low profile carry handles on top and side provide purchase when you have to hoist the bag up into the back of the bus. 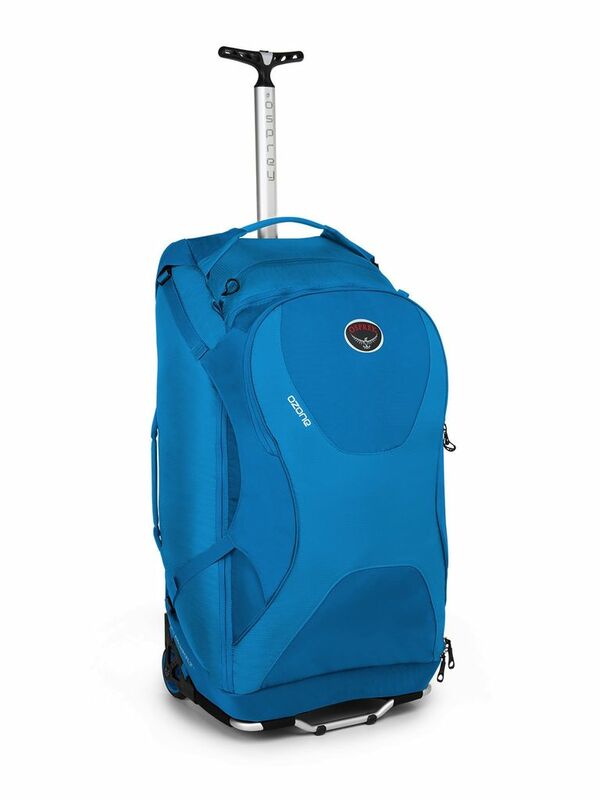 Osprey’s innovative Handle-It™ attachment system anchors an Ozone backpack or courier bag (each sold separately) to this bag’s ergonomic T-handle creating a unified rolling luggage package. And an internal ID card holder helps reunite you with you gear should it go astray while making a tight connection between Paris and Dakar.